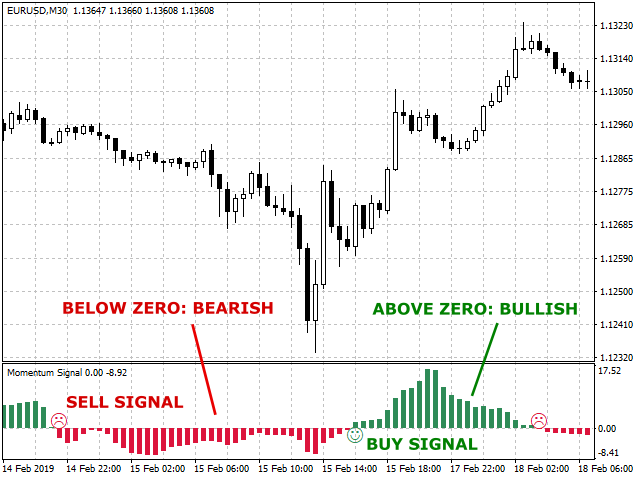 Momentum Signal (MS) (For MT5) is a forex or stock technical analysis indicator, it shows price Momentum, Oscillator and Trend. The chart shows bullish (buy) or bearish (sell) momentum strengths. 1. 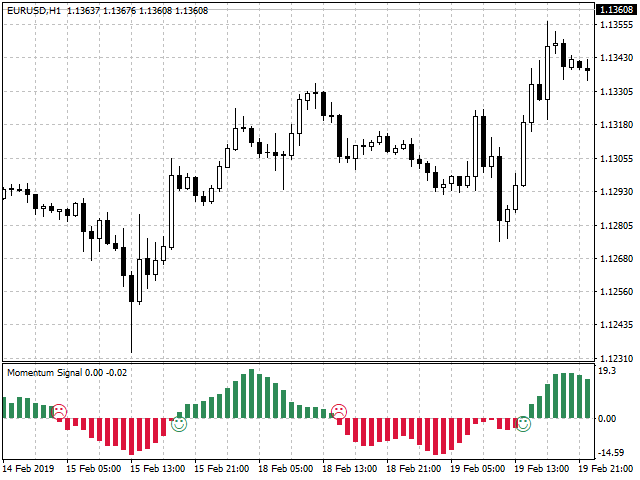 When Momentum Signal (MS) Histogram is above zero (Green), it is bullish, when it is below zero (Red), it is bearish. 2. When the Histogram crosses zero, color changes, it shows the trend changes. It is Buy or Sell signal.